Photograph, Picture of the Cameron Iron Works building, located in Houston, TX. Image available on the Internet and included in accordance with Title 17 U.S.C. Section 107. CAMERON IRON WORKS, HOUSTON. The Cameron Iron Works of Houston began in 1920, when oil wildcatter James Smither Abercrombie purchased a controlling interest in Harry S. Cameron's shop for use in repairing drilling rigs and for forging high grade steel. The firm incorporated on August 20, 1920, with $25,000 capital, five men, two lathes, a drill press, and hand tools and patented its innovative blowout preventer in April 1922. Until World War II the firm concentrated on service and manufacture of oilfield equipment and from 1945 to 1950 on research and development. It manufactured army ordnance, particularly depth-charge projectors and arbors for the navy in World War II, along with gun barrels, gun mounts, and rockets, for which it received the Navy "E" award in 1941. The company built its first plant and company headquarters in 1946 on forty acres north of the Katy Highway in Houston, after which the original shop was used as a warehouse. The firm subsequently went public and was listed on the New York Stock Exchange. Between 1950 and 1960 annual sales grew from $10 million to $40 million and employment from 700 to 2,000 workers. During the Korean War Cameron Iron Works supplied armaments and was involved in power generation and manufacture of jet engines and airplane parts. In 1957 it established a guided-missile plant, and the International Association of Machinists went on strike against the company. Photograph, Picture of a Cameron-Devant Co. truck. Image available on the Internet and included in accordance with Title 17 U.S.C. Section 107. At its peak Cameron was involved in atomic and space technology and the military, energy, petrochemical, and aerospace industries, as well as oil and gas exploration. It employed 12,300 workers in thirty-eight countries. A case involving back pay for Cameron workers fired for striking went to the United States Supreme Court in 1961. 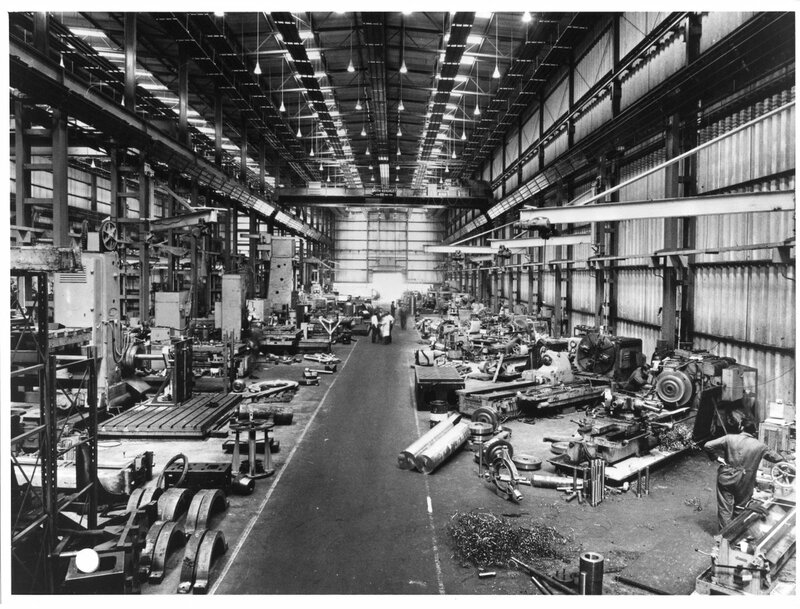 In 1963 the company built a plant at Livingston, Scotland, near Edinburgh, to construct aircraft engines and power generators to supply the nuclear-power and valve and tool industry. In 1965 Cameron was involved in the military buildup for Vietnam and in 1966 built a new plant at Cypress for high-strength metal production. In 1972, by which year the firm supplied pipelines for Russia and had a plant at Béziers, France, Abercrombie stepped down as company head. Photograph, Picture of the inside of Cameron Iron Works in Houston,TX. Image available on the Internet and included in accordance with Title 17 U.S.C. Section 107. Houston Metropolitan Research Center Files, Houston Public Library. Jim Hutton, Houston: A History of a Giant (Tulsa, Oklahoma: Continental Heritage, 1976). Marie Phelps McAshan, A Houston Legacy: On the Corner of Main and Texas (Houston: Gulf, 1985). Patrick J. Nicholson, Mr. Jim: The Biography of James Smither Abercrombie (Houston: Gulf, 1983). Lee and Marsha Tucker, Houston: A Sesquicentennial Commemorative (Houston: Pioneer, 1986). Vertical Files, Dolph Briscoe Center for American History, University of Texas at Austin. Handbook of Texas Online, Diana J. Kleiner, "CAMERON IRON WORKS, HOUSTON," accessed April 18, 2019, http://www.tshaonline.org/handbook/online/articles/dkc06.